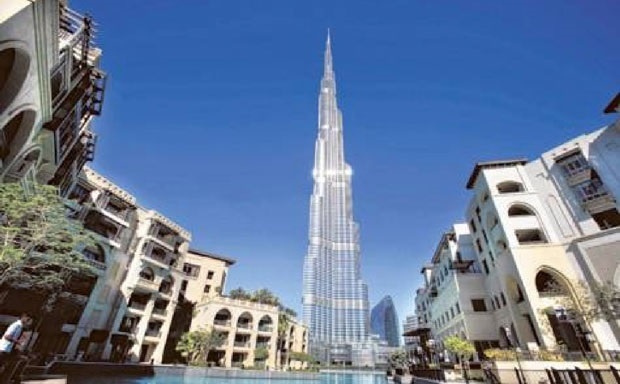 Dubai: The Dubai economy continued to see strong growth despite challenging regional and global economic conditions. Dubai’s non-oil foreign trade increased to Dh344 billion in the third quarter of 2017, an increase of 13 per cent year-on-year from Dh305 billion in the corresponding quarter of 2016. Re-exports were the key driver of growth in the quarter, rising 34 per cent to Dh103 billion, a relatively strong performance given the challenging geo-political backdrop. Shaikh Hamdan Bin Mohammad Bin Rashid Al Maktoum, Crown Prince of Dubai and Chairman of the Executive Council, said: “Dubai’s resilience to external economic turbulence demonstrates the strong fundamentals of its economy and its ability to constantly find new avenues for growth. “Sustainability along with innovation and diversification are deeply embedded in Dubai’s economic strategies as well as its key initiatives. “This dynamism has been driven by the development vision of Vice President and Prime Minister of the UAE and Ruler of Dubai, His Highness Shaikh Mohammad Bin Rashid Al Maktoum and his determination to ensure Dubai ranks among the leading cities of the world. He added: “We are pleased to see that trading in Dubai continues to grow despite the economic and geopolitical challenges in the region. Dubai saw growth across all three trade components with free zone trade growing by a significant 21 per cent in the quarter, direct trade by 9 per cent and customs warehouses by 8 per cent. Similarly, Dubai saw growth across all modes of cargo with air, land and sea growing by 12 per cent, 15 per cent and 13 per cent respectively. Value traded through sea reached Dh124 billion, air Dh153 billion and land Dh67 billion. Dubai’s non-oil foreign trade volumes, measured in weighed tonnes, grew by 5.1 per cent to 23.4 million tonnes in the third quarter of 2017. This was driven primarily by export cargo, which grew 11.4 per cent year-on-year in the third quarter and import cargo, which grew 5.2 per cent year-on-year. In the nine-month period to 30 September 2017, Dubai non-oil foreign trade grew by 3.5 per cent year-on-year to Dh985 billion with re-exports being the key growth driver. Imports remain the largest segment with Dh592 billion in value. Nine-month trade by weight declined marginally by 2.9 per cent to 68.8 million tonnes. Trading with Dubai’s top ten partners remained robust as it grew 2.4 per cent in the first nine months of the year to Dh497 billion. China remains the largest trading partner, accounting for more than 25 per cent of the trade (Dh128.9 billion). India (Dh74.1 billion) and the USA (Dh62.4 billion) remained in the top three with Saudi Arabia (Dh44.7 billion) being the largest trading partner within the region. Dubai remains a key trading hub for electronics and jewellery as transactions in mobile phones reached Dh127 billion in the first nine months, followed by gold (Dh120 billion), diamonds (Dh75 billion), and motors (Dh52 billion).